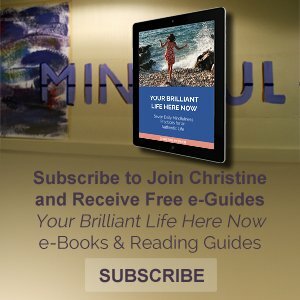 Reader Question: Adjusting to the “emptiness” that I ran from, or tried to fill with addiction to spirituality, food, gossip, helping others now. Loving what arises with neutrality and balance. Journeying through this season… now I have NO inspiration to DO anything. No-thing excites me, but walking in the country, or like I stood in the grocery yesterday smelling one rose (loved that video you posted, I am … Allowing myself to feel this place, but it is not paying the rent?????? Reply: A common concern for the Self-realized individual is how to live abundantly within the desire for full immersion into the Oneness with God experience. Shouldn’t God take care of my needs? YES! Creation is designed to thrive–and that includes you. How to live abundantly after self-realization is such an important topic, one that repeatedly comes up in discussion, that I’ve written a special article on the topic. Please read on for an overview of what is happening in your life. I hope it gives you some measure of comfort. Feel free to add your own comments or additional questions at the end of this post. Hello, it is on page 100. If your browser doesn’t support the format, you might try another one.